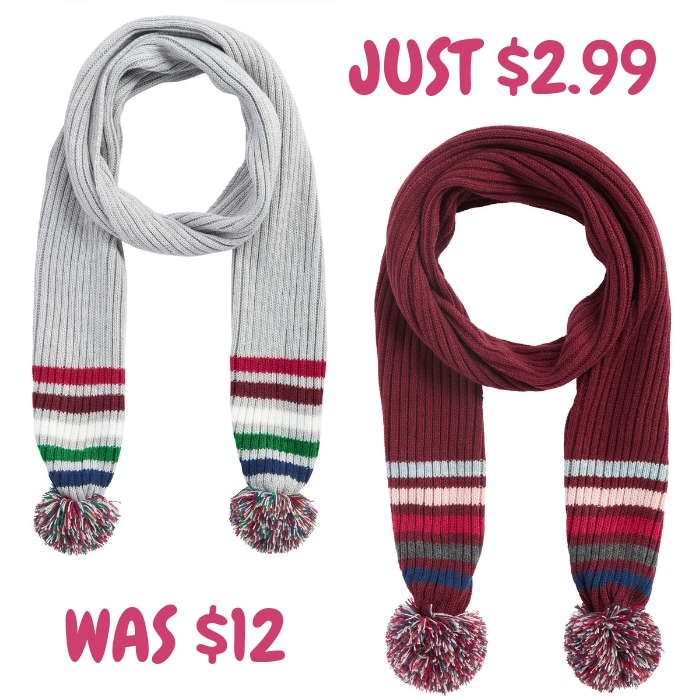 Ellen DeGeneres Knit Scarf Just $2.99! Down From $12! At Walmart, you can get this Ellen DeGeneres Knit Scarf for just $2.99 down from $12 PLUS FREE shipping for orders $35 or more! EV1 Ladies Gray Striped Ribbed Knit Scarf with Multi Color Pom. Stylish and fun design with a traditional stripe and ribbed pattern and eye catching multi color pom . Made with a soft acrylic yarn that will keep you warm and toasty during the cold winter months. EV1 woven label.